For your comfort, all rooms and studios have been recently refurbished. 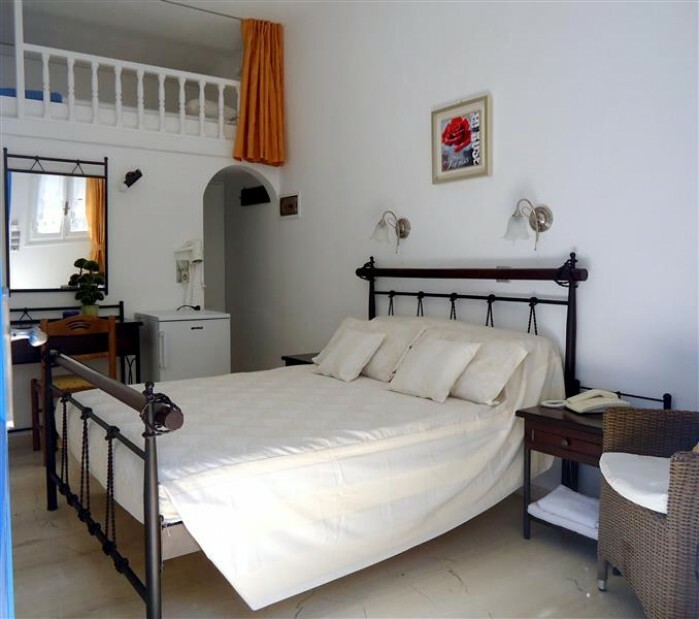 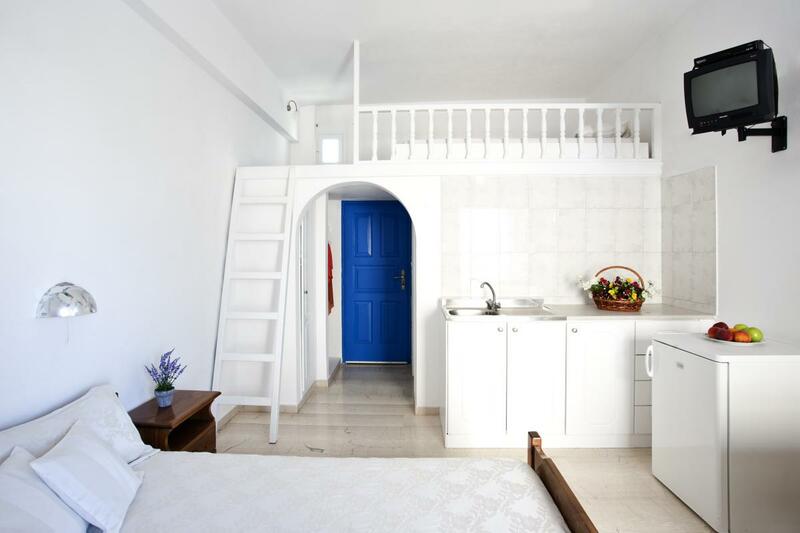 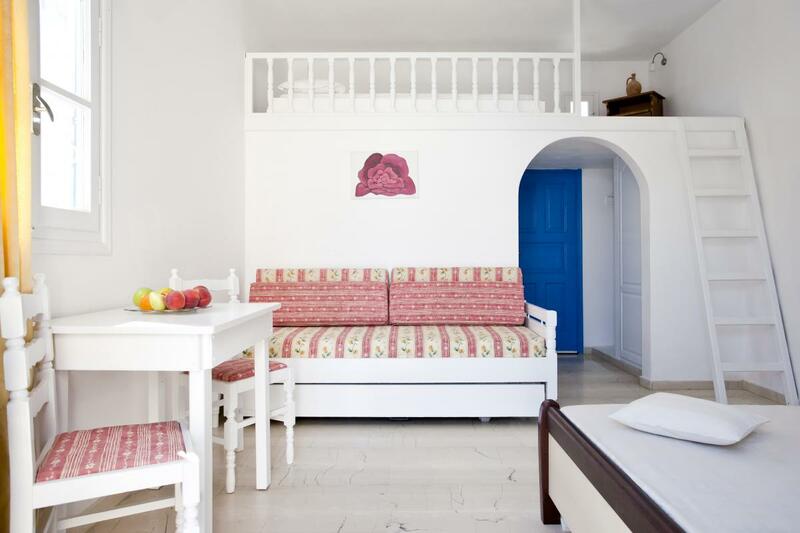 With an average size of 16 m2 the Standard rooms are decorated with warm, Cycladic island color’s. 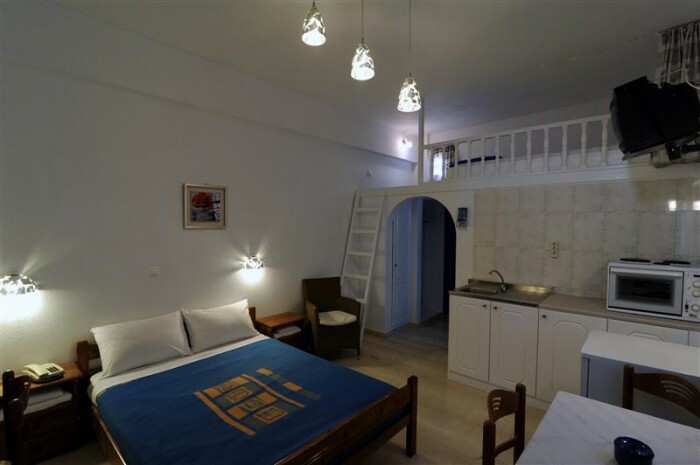 They are equiped with sound-proof opening windows, marble floors, self-operated inverter air conditioning, working desk, a full size refrigerator with deep freezer,TV, Satellite receiver, in-room safe, hairdryer, private balcony, telephone, high-speed Internet access, beds have new anatomic and ecological matresses, private balcony. 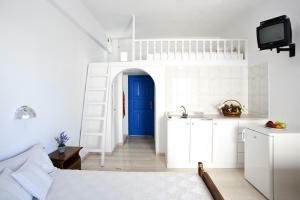 The bathroom features amenities, towels, W/C, shower with shower curtain.